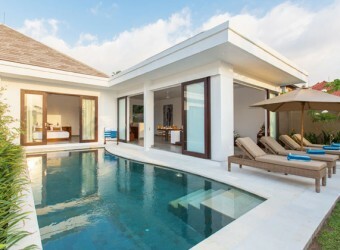 Bali Hotel Gajah Villa offer 2 villas with swimming pool. The location at Seminyak area then, only Gajah villa can see the rice field view among seminyak area villa. There is treck wood table at living room, Large size couch and well maintenance tropical garden makes you comfortable stay.